Fig. 2. 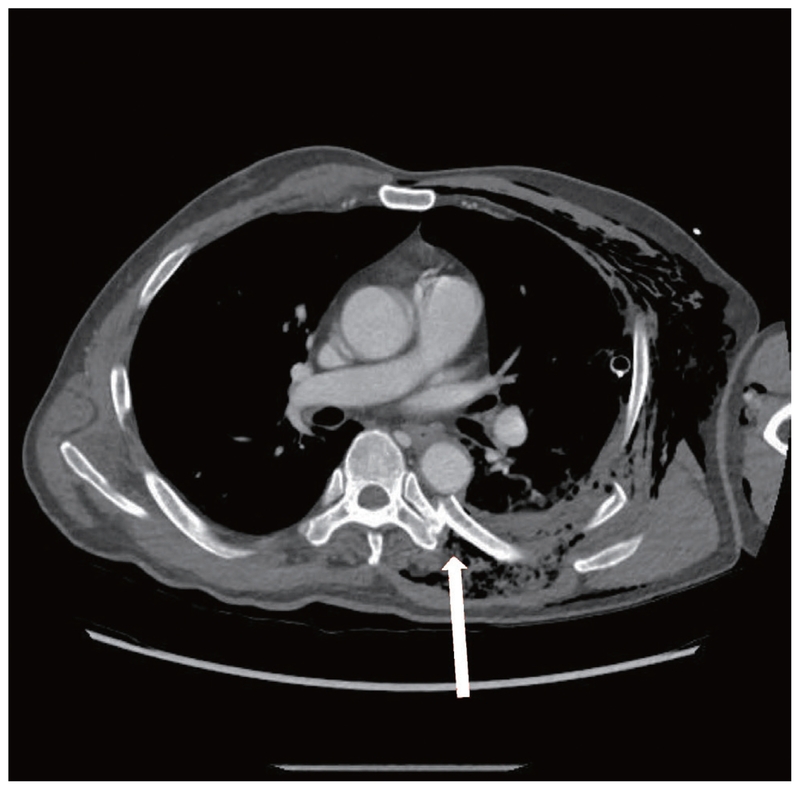 Posterior fracture of the 6th rib (arrow) and the descending thoracic aorta.